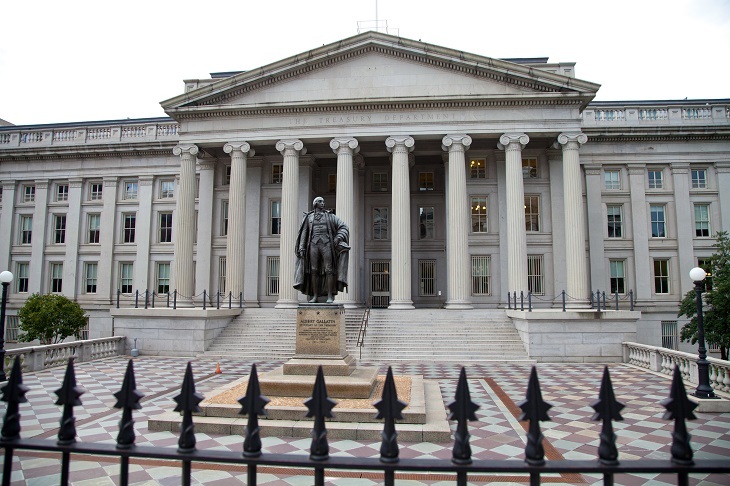 Treasury bonds and related exchange traded funds continued to strengthen Monday as investors’ appetite for riskier assets waned in face of uncertainties surrounding President Donald Trump’s policies. Over the past month, the iShares 20+ Year Treasury Bond ETF (NYSEArca: TLT) gained 2.1%, PIMCO 25+ Year Zero Coupon US Treasury (NYSEArca: ZROZ) increased 3.2% and Vanguard Extended Duration Treasury ETF (NYSEArca: EDV) advanced 2.9%, with 30-year Treasury bond yields now hovering around 2.99%. U.S. Treasury yields experienced their largest one-day drop in more than two weeks as investor concerns over Trump’s tough stance on trade triggered safe-haven demand for debt, reports Richard Leong for Reuters. The administration’s move to restrict trade, along with a dearth in details over proposed tax cuts, infrastructure spending and deregulation, has sapped the momentum in the recent Trump trade that helped push equities toward record heights. On Monday, Trump told U.S. manufacturers he would impose a large border tax on those that import products into the U.S. after moving operations overseas. “The trade comments were a bit unsettling so stocks sold off, offering Treasuries some safe-haven support,” John Canavan, market strategist at Stone & McCarthy Research Associates in Princeton, told Reuters.